I love it because it gets down to what we really love doing. We all get that we have to earn money, unless you’re independently wealthy already… in which case, this post is definitely for you. But what if you didn’t need money? What if you were so wealthy that you would never run out of money? What would you do with your life? Ok, after you’ve quit your job, slept a lot, gone on all those amazing vacations, and bought all the stuff you want… what then? What would you do with your life if you didn’t even have to begin to think about how much it might cost to go after it? What would you go to bed thinking about, dream about as you sleep, and wake up thinking about? What wrong would you right? What cause would you champion? What need would you meet? What lives would you purposefully impact for the better? Is it possible that this very thing that you would do then is the thing you should begin doing now? Ok, maybe you can’t do it at the level you would if money was no object. But you could start. You could try. You could begin. Dream the big dream. Chase the big goal. Live a life so meaningful that you will never regret it, and no one else will ever forget it. So, what’s stopping you? 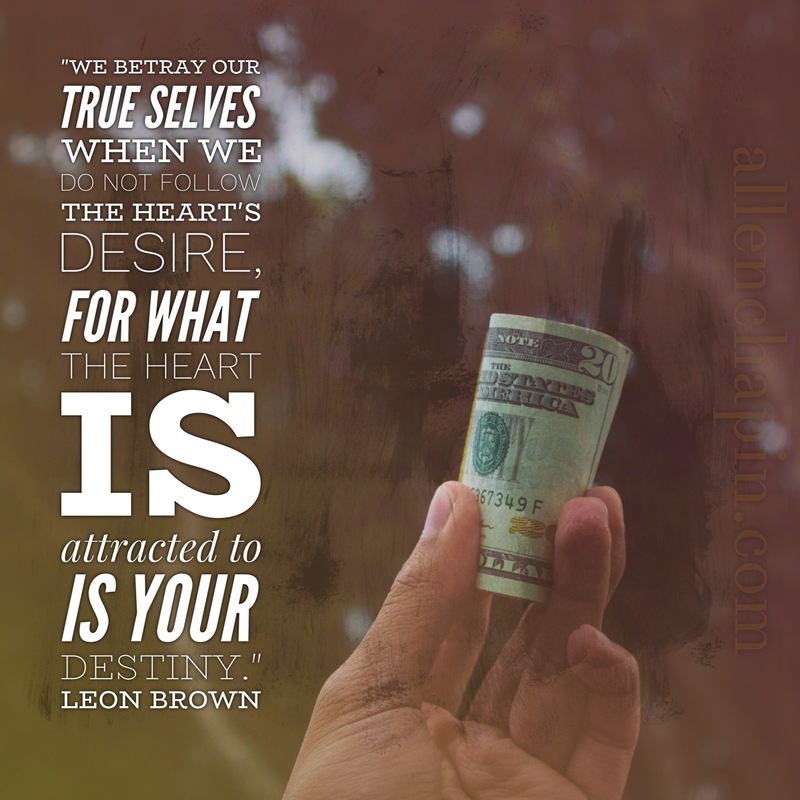 Are you going to let that prevent you from your destiny?